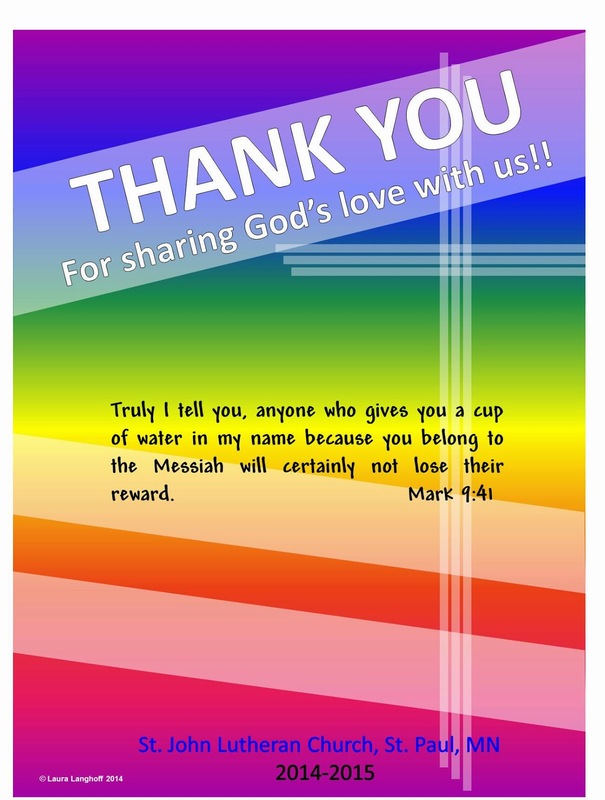 The Carpenter's Ministry Toolbox: HS YOUTH: The travel THANK YOU poster! Summer is the season of mission trips. Some around the world and some around the country. Sometimes when youth groups travel they need a way to say thank you to various people or groups who have assisted them whether it be for those who have fed, housed, or hosted in another way. Perhaps the owner of a swimming pool allowed them to swim and shower after a long day working in a field, a church allowed them to sleep in their basement for a night or a week, a group of volunteers fed them dinner for a week or a day, or to simply thank people for providing the opportunity to serve. One way I like to say "THANK YOU!" to those folks is by leaving a signed poster similar to the one shown. I create all my posters in PowerPoint and have them printed on 18" x 24" poster paper. With this design, you may notice that there's room in the top left corner to write the name of the host church, group, or business and there's plenty of room on the rest of the poster for kids to write personal messages of thanks. If you create your own poster you can have a bunch of them printed at Short Run Posters for less than $3 each. I like this idea because it's something that can be put on the wall in a church to remind them of how they shared God's love with strangers. They've ended up in a lot of church kitchens for the ladies who spend so much of their time preparing food.